If you are headed to Disneyland or Walt Disney World with a young child, a good stroller is essential. Even active toddlers and preschoolers who seem to know no limits to their energy at home can crash after the many miles of walking on a Disney day. Strollers can be a great place for a mid-afternoon nap as well as a place to store the family’s essentials, from jackets to water bottles to snacks. But they also have to be functional for the specific challenges of a Disney vacation – easily foldable for getting on shuttle buses or the monorail and nimble enough to navigate crowds and the parks easily. Disney just added an additional vacation planning wrinkle when it comes to strollers for some families. On March 28, 2019, Disney announced new stroller size restrictions effective May 1, 2019 for both Walt Disney World and Disneyland. Stroller wagons like the Veer and Keenz (even those that are push-only that were previously allowed) will be banned entirely. And some jumbo strollers, especially larger ones for two or more children, will no longer be permitted. Strollers must now be no larger than 31 inches wide by 52 inches long. But there’s no need for these stroller rules to stress you out as you plan your Disney vacation. I’ve been to Disney parks over the years with a wide variety of different strollers with my kids at every age and stage – all of which were compliant with the new size restrictions. Most strollers on the market in the US (including many of the most popular double stroller models) are within the limits. If you have just one child of stroller age or two older kids who can reasonably take turns with just one stroller, a single stroller is the way to go on your Disney vacation. You can more more nimbly through the crowds with the slimmer lines of a single, provided you find the right model. Here are four versatile options at several different price points. The gb Pockit has been my family’s personal favorite for all of our travels the past few years. While it’s amazing for air travel (it folds up small enough to go in an airplane overhead bin or under a seat), it does equally well for theme park minimalists. The gb Pockit is super lightweight and incredibly tiny to fold up, making it perfect for taking crowded shuttle buses or tucking away in a hotel room. Disney guests with an older toddler or preschooler who will be doing a lot of walking and not in the stroller the entire time should definitely give the gb Pockit a serious look. See my full review of the gb Pockit. Pros: Extremely nimble for dodging crowds, tiny fold for riding shuttle buses or monorail, ideal for guests flying to their Disney vacation. Cons: Not a lot of storage space, minimal sun protection, may not fit very tall parents well due to lower handle. For families who still want to travel light at Disney but who need a more fully functioning umbrella stroller, the Uppababy G-Lite is ideal. The Uppababy brand is well-regarded and well made, and the G-lite is the most basic lightweight umbrella stroller the company makes. It doesn’t recline, so it only works for children 6 months and up. The G-lite has a weight capacity of 55 pounds, so should carry most families through the age when their kids are ready to walk entirely on their own. Many families simply want the least expensive stroller possible, especially those who only need a stroller for a Disney trip and won’t be making use of it in other ways. The stroller that fits the bill for cheap but highly functional is the Summer Infant 3D Lite. 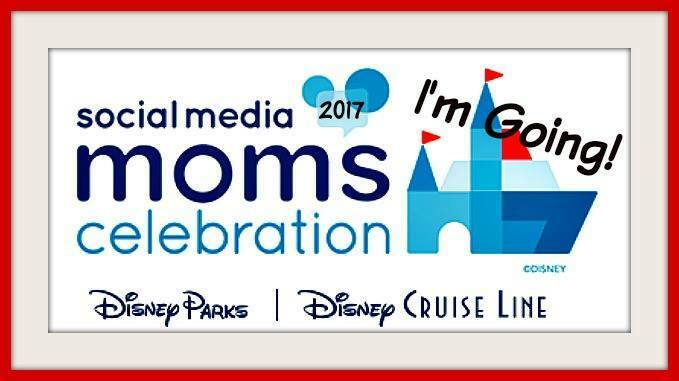 In fact, it was the most recommended stroller for Disney trips in the Disneyland with Kids Facebook Group I co-own (be sure to join our 15,000+ members for other great Disneyland advice from fellow parents!). And it reclines, making it a great choice even for younger babies or kids of any age who will nap in the stroller. If you’ve ever rented a stroller from a third party company near Disney parks, chances are good you’ve ended up with a Baby Jogger City Mini. They have legions of them in their fleets Why? They just work. The City Mini has a fairly compact footprint but also the versatility and maneuverability of an all-terrain or jog style stroller. They are surprisingly easy to fold (with a single hand even), which is crucial for Disney goers hopping on shuttle buses and needing to break down the stroller. And they recline so they work well for young babies too. Pros: Fully reclining, ample sun shade, easy to fold. Cons: Heavier than an umbrella stroller, more expensive than many single strollers. For Disney guests who want lightweight in a side-by-side double stroller, the Zoe XL Best V2 is it! It tips the scales at a mere 17 pounds. And at about $250, it’s actually one of the more moderately priced double strollers on the market. It can hold two kids up to 50 pounds each, so it works well into the preschool years. See baby gear blog Lucie’s List for a full review of the Zoe XL2 Best V2. Pros: Lightweight, ample storage basket, quick fold. Cons: Doesn’t fully recline (not for infants under 6 months), not as smooth of a ride as all-terrain strollers. Sit and stand double strollers are best at Disney for families with an older child who will be walking most of the time but who might need a break to rest on occasion riding in the stroller (roughly the 4-6 age range). At just 22 pounds, the Joovy Caboose Ultralight is a lightweight option with a relatively small footprint. It has an optional second seat that can be installed for even more versatility. See baby gear blog Lucie’s List for a full review of the Joovy Caboose Ultralight. Pros: Lightweight, large canopy, large storage basket. Cons: Not as sturdy or smooth of a ride as all-terrain double strollers. Double version of the City Mini. Photo courtesy of Joe Cheung of AsTheJoeFlies.com. For families who want the ultimate in double stroller features and functionality, the Baby Jogger City Mini Double takes the cake, much like its single counterpart. It has the same one handed easy fold, very large sun shades, and provides a smoother ride than most double umbrellas. This stroller is expensive, so if you only need it on a Disney vacation, consider renting it from one of the off-site stroller rental companies. Pros: Easy fold, ample sun protection, smooth ride. Cons: Pricey, limited storage space, a bit heavier than other travel-friendly doubles. You can rent strollers from Disney BUT…: While you can rent strollers from Disney, they are expensive and can’t be taken everywhere. At Disney World, strollers have to remain in the parks or at Disney Springs. In Disneyland, their use is limited to Downtown Disney and the parks. If you need a stroller for your hotel or other outings, consider alternatives like bringing your own or renting from an off-site vendor. Always park in stroller parking: Disney has designated stroller parking areas in multiple areas of every park (usually several in each land). To avoid clogging walkways and having your stroller moved, look for the marked areas. Your stroller may be moved: Even if you park in the designated stroller parking areas, you may return after a ride to find your stroller in a new location. Cast members do move strollers to keep the parking areas consolidated and organized, so don’t fret. Consider marking your stroller with a colorful handle or balloon to spot it in the crowd. With older kids, park it once per land: While many families will need a stroller for preschoolers due to long walking distances at Disney, older kids aren’t likely to need a stroller all the time. For kids ages 3-6, I find that a “park once per land” strategy works well. When you enter a land, park your stroller and then leave it as you do a variety of attractions nearby. You’ll save time not returning, loading up a kids, and re-parking a stroller every time. Then, when it’s time for the longer walks to a new location, come back to the stroller. Track it: A lot of Disney guests are concerned about stroller theft, thanks to a few high profile news stories. The reality is that your stroller is incredibly safe at Disney. But if you are worried about theft, label your stroller with your name somewhere a bit hidden and tuck a GPS tracker like a Tile into it somewhere inconspicuous. Already have a stroller you would like to take to Disney and worried if it will fit? The Happiest Blog on Earth has a list of 15+ double strollers that fit within Disney’s size rules (and a few that don’t). Can’t decide whether to rent a stroller at Disneyland or bring your own? Check out This Crazy Adventure Called Life’s deep dive on the choice. What stroller has worked well for your family at Disney? We’d love to hear more options as new models come out to keep this list updated!